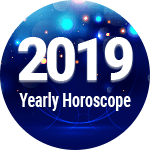 Your health may become soft from the start of the year itself and you should take care of minor and major viral infections as well says your Aquarius health prediction 2019. You will get some support from Jupiter. You should take care that your mental and physical health does not worsen due to the stress arising from work area and expenses. You should put some attention on your health during March to 15 May time period. Health may get little better in June as per your Aquarius health horoscope 2019. July, August will worsen the health again. You should take care of acquiring liver diseases and typhoid and jaundice. You should do exercises and Yoga, and drink more water throughout the year. You should refrain from fast foods as much as possible. Care should be taken while driving vehicles from 15/4 to 15/6. Dizziness and B.P. may occur, so you should take care. According to Aquarius health horoscope 2019, the great Jupiter will support you so you will be saved from serious problems. Don’t continuously work, make some time for some fun and exercise as well, suggests your Aquarius fitness horoscope 2019. If you are not a gym person, you can stick to cycling, Zumba, dance and swim for your weight reduction mission. Kick off those flabs and aim for those abs, that’s what your motto should be for the year 2019. As per your Aquarius 2019 health horoscope, people suffering from heart and other serious ailments should be extra cautious and must take all their medicines on time. Consult a doctor if anything serious occurs, and also go for regular check-ups just to maintain your health and to be aware of anything that might arise due to ignorant behavior. 1. 15th April to 15th June is a crucial period and you have to very careful during this time, warns the Aquarius health horoscope 2019. 2. This period might be harmful to your health, so stay away from any unhealthy habit. 1. If you are advised by the doctor to take up meditation and exercises, go for it and motivate yourself to lose weight and stay healthy. 2. This is going to be the best year for you if you focus on your health and well-being, in accordance with your 2019 Aquarius health horoscope. Aquarius Health And Fitness Horoscope 2019 Overall rating: 4.3 out of 55 based on 985 reviews.